LOCATION The site is located on Orchard Way, to the north west of the village of North Crawley in the administrative area of Milton Keynes. The village benefits from a number of services including a Public House, village shop, a number of sports facilities, a Church of England Primary School and a Church known as St Firmin. North Crawley is situated approximately 4 miles to the east of Newport Pagnell and 6 miles to the south of Olney, and both of these market towns have a wide range of facilities and services. Milton Keynes is situated approximately 8 miles to the west and provides a fast rail service to London Euston in approximately 30 minutes. The M1 and A421 also lie within close proximity to the development site. DESCRIPTION The site, separated into 3 Lots on the attached plan, is located on Orchard Way, on the northern edge of the village of North Crawley. As shown in the photograph overleaf, Lots 1 & 2 have been largely cleared of trees and vegetation. The land measures approximately 0.26 ha (0.64 acres) in size and is situated outside of the North Crawley conservation area. The site comprises of a two storey residential property to the north of the site and benefits from a good sized plot, bordered mainly by hedgerows. The site is surrounded by residential development to the south and west with open countryside to the north and east. The existing property known as Lyefield House was constructed in the early 1900's and has been vacant since 2015. The property is a two bedroom dwelling with a pebble dash rendered exterior and slate roof. There are a number of outbuildings within close proximity to the property, used for general storage purposes. There is a public footpath which runs through the site and this is marked on the attached plan. 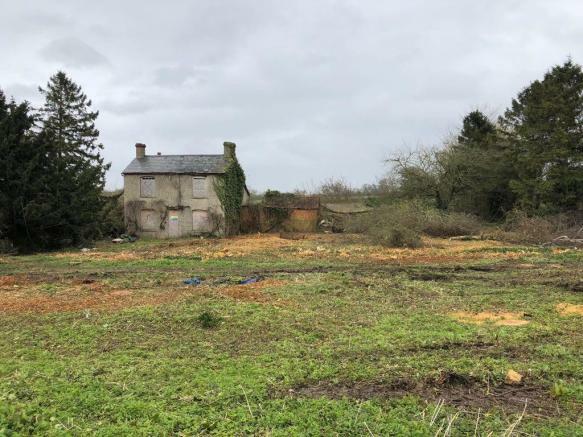 PLANNING Lot 1 has the benefit of Outline Planning Permission (Ref 18/01850/OUT) for the demolition of the existing dwelling and erection of a detached dwellinghouse, which was granted on the 11th October 2018. The Lot measures approximately 0.30 acres in size. Lot 2 also has the benefit of Outline Planning Permission (Ref 18/01849/OUT) for the erection of a detached bungalow and measures approximately 0.18 acres in size. Lot 3 is a parcel of agricultural land measuring approximately 0.16 acres in size and does not benefit from any planning permissions. It lies to the rear of properties front Orchard Way and is planted up with hedgerow and trees. Copies of the approved plans and planning consents can be obtained from the selling agents and further information regarding planning can be obtained from Milton Keynes Council via their website. Disclaimer - Property reference 100064002339. The information displayed about this property comprises a property advertisement. Rightmove.co.uk makes no warranty as to the accuracy or completeness of the advertisement or any linked or associated information, and Rightmove has no control over the content. This property advertisement does not constitute property particulars. 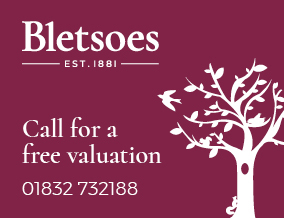 The information is provided and maintained by Bletsoe Estate Agents, Thrapston. Please contact the selling agent or developer directly to obtain any information which may be available under the terms of The Energy Performance of Buildings (Certificates and Inspections) (England and Wales) Regulations 2007 or the Home Report if in relation to a residential property in Scotland.